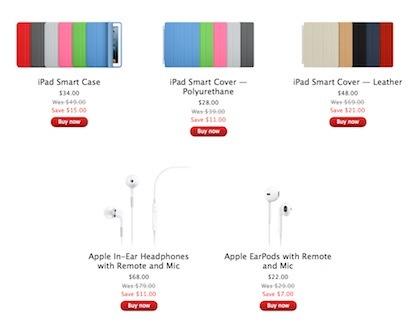 No waiting in lines needed, Great iPad and iPhone deals online today too! 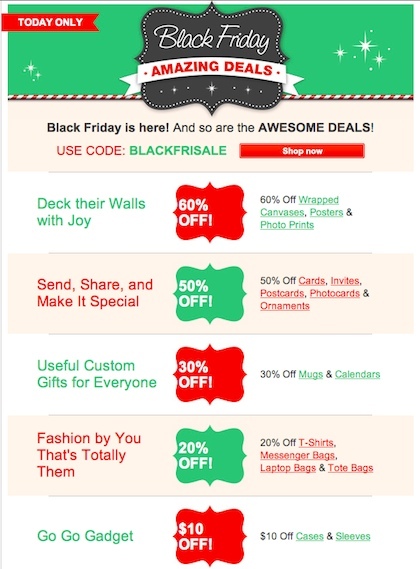 The emails announcing Friday and weekend deals started rolling in Thursday. We’ll list the ones here that are open to the public, no membership or special history required. Great deals on the gadget or accessory you may have been thinking about grabbing for yourself intermixed with nice gift ideas too. Up to 70% off cases and accessories for iPhone, iPad, and iPod at Griffin Technology. Expires 11:59 PM CT 11/26/12! These are the folks with the car chargers for both the 30 pin and Lightening Connector, very large selection of iPad and iPhone cases, TapPinchZoom gloves so you can use your iPad with your gloves on, lots of styluses, kids cases, stands and even iPad controlled toys. 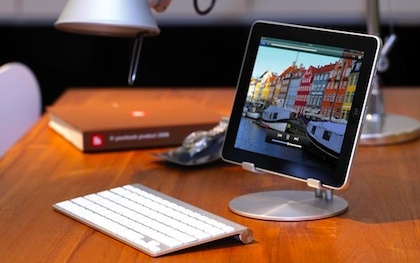 The site might not be your first thought for iPad items, but they seem to spend time fining the cool and the unusual. Fancy has a variety of stand and cases, as well fun things like power amps, projectors and add on interactive devices. Here is a link to the search result on iPad. If you have not been to Zazzle before, it’s a service that has many items available which they will print your images onto. People also offer their creations on Zazzle for sale in case they have an idea you didn’t think of. iPad and iPhone cases and vinyl protection, along with other things like t-shirts, cards and bags. 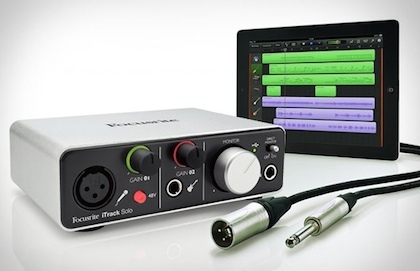 An option for the photos you may have edited on your iPad. 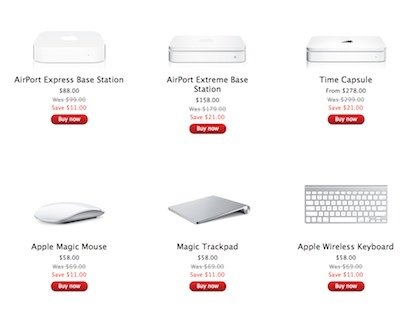 Apple is offering discounts off of many items, Friday only. 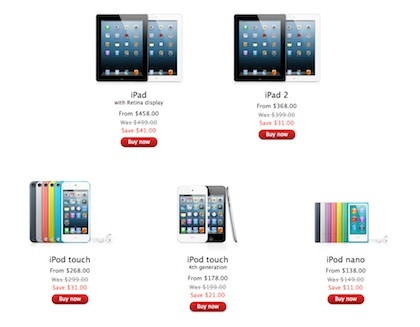 Only iPad Mini is not included in the sale. The newest Touch, newest iPad and iPad2 versions are listed, which might be nice additions or gifts. Covers, headphones, and wireless are discounted, it is a good time to update your network or iPad investment with a new case. We’ll keep adding to this list throughout the day… there is sure to be big sales just for Moday.